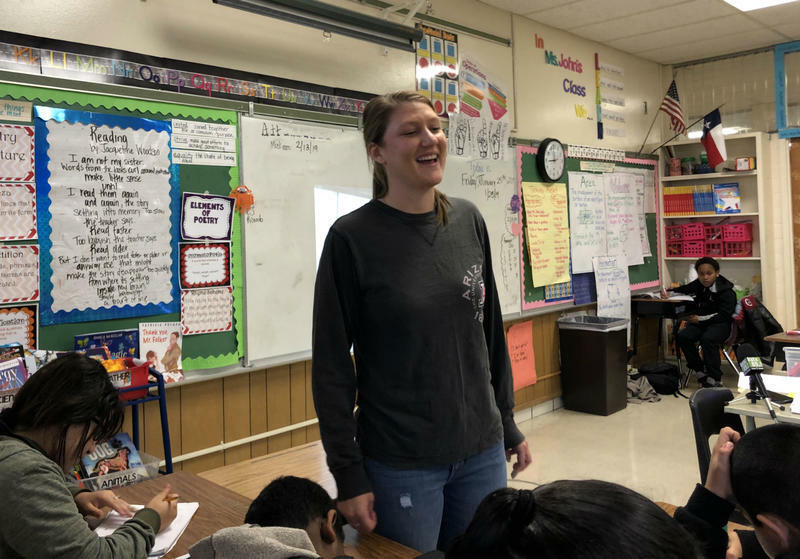 Gates Elementary teacher Kayla John laughs at a drawing a student drew of her during guided reading in January 2019. San Antonio ISD pays her an extra $15,000 stipend as a master teacher. The union representing Texas teachers says merit pay for educators shouldn’t be based on test scores alone.